QGIS or previously called Quantum GIS is a geospatial data processing and analysis software. QGIS is an open source software under GNU general public license. It was developed by Gary Sherman, a GIS programmer at the beginning of 2002. In 2007 QGIS became an incubator project under Open Source Geospatial (OSGeo) Foundation. OSGeo is a nonprofit organization that focuses on the development of open standard and GIS software. Some other software developed by OSGeo are: GRASS, Marble, GeoServer, OpenLayers, GeoNetwork, etc. 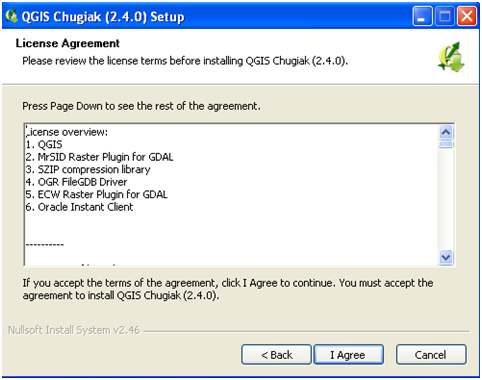 Version 1.0 QGIS released in January 2009. 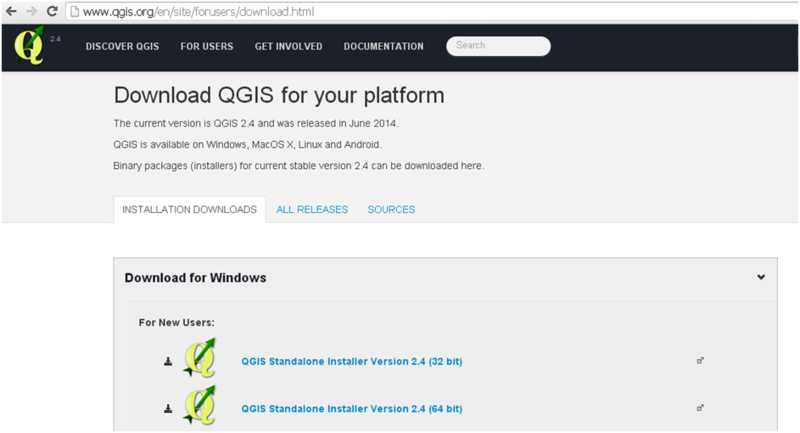 QGIS software can be downloaded for free at QGIS official page. On that page can be found all kinds of information related to the software, such as: types of products QGIS, case studies, and the most important is QGIS documentation or QGIS tutorial. This post will give a short introduction to QGIS. Raster and vector geospatial data processing. QGIS Desktop: This is software for displaying and manipulating geospatial data including the map layout. QGIS Browser: It is an application for viewing and managing geospatial data including metadata. QGIS Server: An application for GIS web server, so that the data can be published online. QGIS Web Client: An application to access GIS data online. 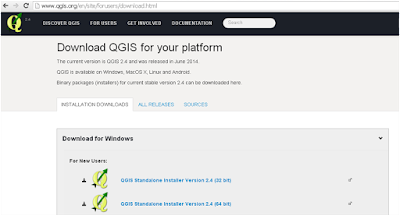 QGIS Android: QGIS on the Android operating system. To install QGIS is very easy. 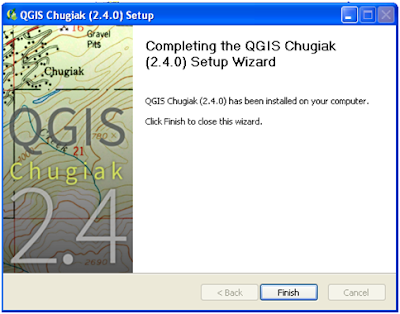 If you don't have a copy of QGIS software, just go to QGIS download page to grab it. When you open the download page it will appear like figure 1. 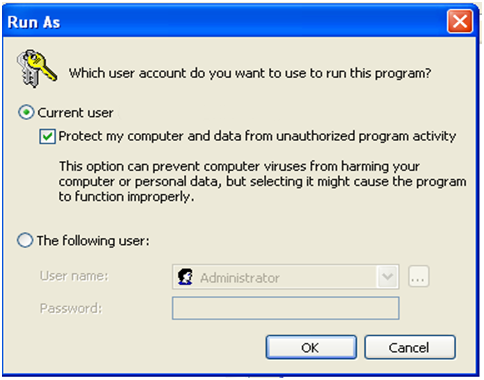 Choose the software according to operating system and computer bit used. 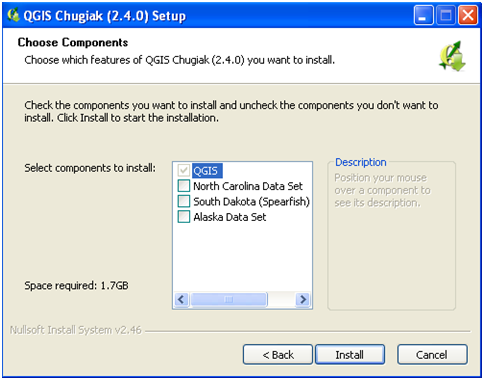 If a 32 bit computer then select Standalone Installer QGIS Version x.x (32 bit), otherwise if the computers used 64-bit, select Standalone Installer QGIS Version x.x (64 bit). Double-click on the .exe file that you've downloaded. Then it will appear a welcome window as in figure 2 below and select Next. Right after that will appear the License Agreement window as shown in figure 3, then select I Agree. Then a pop up window will appear to select the QGIS installation location. Select where it will be installed and then select Next. After that, comes the component selection window as in Figure 4. Select the component to be installed or leave it as default and Select Install. The installation process will proceed as in Figure 5. Shortly before the installation is complete. User account window will appear as in Figure 6. Select a current user or others. After the installation process is complete, it will display a window stating that the installation process has been completed as in Figure 7. Select the Finish button and its done. That's all a quick QGIS introduction that explain a little bit about history, features, product and also installation process. Hopefully its useful.